Wow, we did it!!!! 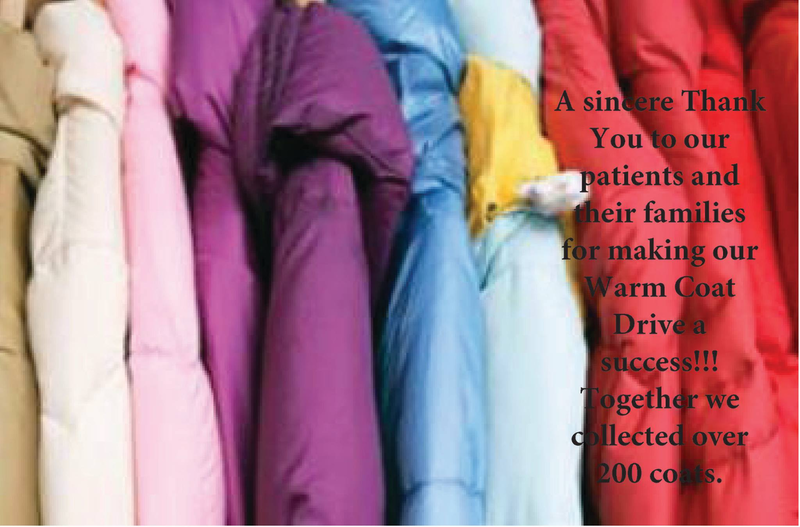 Thanks to our patients and their families we collected over 200 coats for our Warm Coat Drive. Together we were able to help 200 people stay warm this winter.